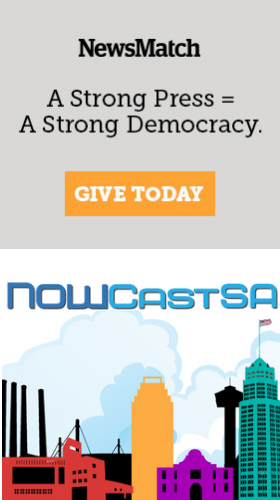 Join NOWCastSA, six neighborhood associations and the League of Women Voters of the San Antonio Area for a Candidate Forum for City Council District 1 at 10 a.m. on Saturday, April 13 at the The Public Theater of San Antonio, 800 W Ashby Place, San Antonio. Thanks to sponsorship from Nelco Media Inc. and from NOWCastSA, anyone can watch the webcast live or replay it later, right on this page. The forum is brought to you by the following District 1 neighborhoods: Alta Vista Neighborhood Association, Beacon Hill Area Neighborhood Association. Five Points Neighborhood Association, King William Neighborhood Association, Olmos Park Terrace Neighborhood Association, Tobin Hill Community Association. The forum will be moderated by the League of Women Voters of the San Antonio Area. Confirmed candidates are: Lauro Bustamante, Justin Holley, Alan Dennis Inchaurregui, Brad Kessler, Oscar Magana, incumbent Councilman Roberto Trevino and Raymond Zavala. Under League of Women Voters guidelines, each candidate will have two minutes for opening remarks. Questions submitted by the audience will be read by the moderator and each candidate will have up to one minute to respond.